Perhaps you have seen exotic landscapes while figuring out Wilds on slot machines. You get to win when a Wild symbol appears and makes a winning combination with any other symbol. So too, with the islands in the Philippines! When they come together to form exotic holiday destinations, you are surely a winner. Palawan coastline spans over 2000 kilometres and boasts of more than 1,700 islands and isletsmaking every beach and water lover’s dream come true. And how awesome is Palawan? Why should it top your bucket list? 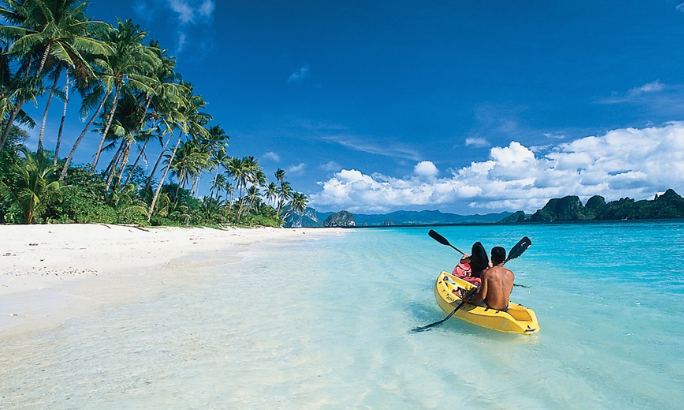 Beautiful does not begin to describe the Palawan Islands. They are not only breath-taking but also unspoiled by pollution or any form of contamination. The crystal waters are very inviting and are a key attraction for tourists. The fresh locally netted fish are prepared for meals a few hours after capture. You can be assured of a menu packed with seafood all cooked in different, tasty, and authentic Palawan style. The clear sea of Palawan is a spectacle unto itself. You can see the beautiful reefs while swimming underwater, and you can be assured of coming across sea cows, sea turtles, dolphins, and whale sharks. 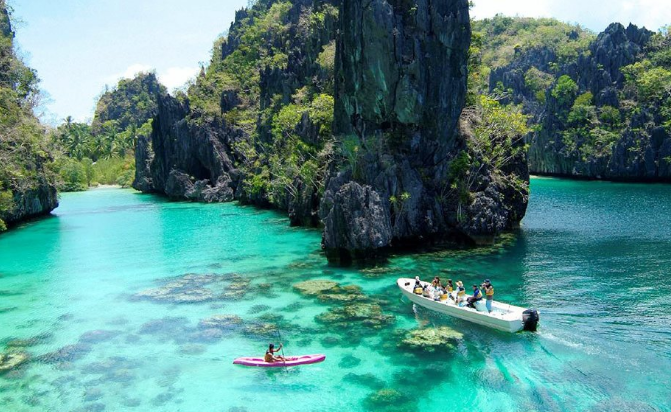 The most amazing Palawan attractions are the Subterranean River in the Philippines. The Underground or Subterranean river is a site marked as a UNESCO World Heritage and has made it in the list of the New 7 Wonders of Nature. The river is 8.2 kilometres long, making it the world’s longest underground navigable river. The river winds under a mountain range via the St. Paul Underground cave and ends in the South China Sea. There are also a number of dive sites, such as the Tubbataha reef located at the Sulu Sea centre. It has some of the most beautiful corals you will ever see; it is the very best of the dive spots in the Philippines. The pleasant temperatures and tropical climates with warm sunshine all year round make the Palawan Island paradise on earth. The area rarely experiences typhoons because of its location. You can escape the harsh winter season by visiting the 28-30 degrees Celsius paradise. A place can only be as welcoming as its people. The natural beauty of the Palawan Islands will go unnoticed if you received a harsh or inhospitable welcome. Thankfully, the locals are not only warm but will go out of their way to ensure that you get the very best experience in your visit. They are laid back, a thing that is rarely seen in Western countries. The chilled-out atmosphere created by the locals makes you really get into a holiday mood too!